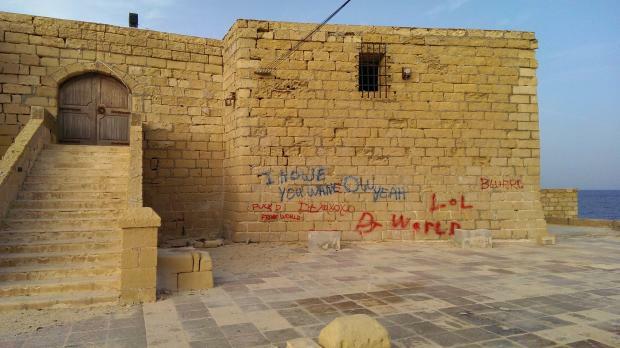 Graffiti has been sprayed on a wall of a historic watch tower in Qbajjar Bay, Gozo. Sta Maria Tower was built in 1715 to a design by Jacques de Camus D'Arginy and Bernard de Fontet. It is now unused, having been used as a disco venue for several years. 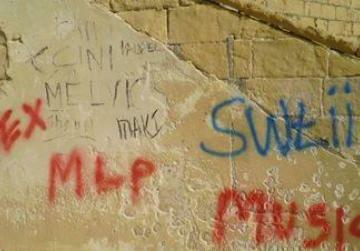 Zebbug local council said anyone having information on the vandal act should contact the police on 21562040.